This past weekend I renewed my Certified Scrum Master license. I obtained it in March 2016. Scrum Alliance gave me two years with a $100 fee to renew it for another two years. 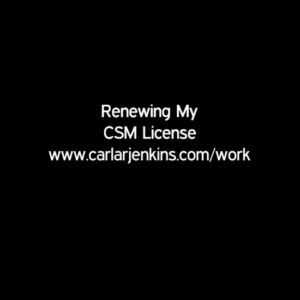 I actively used my credential for blogging and content creation: I didn’t let my CSM license lie dormant. I did something with. I created a project management newsletter, shot project management videos, recorded audios, and landed a professional webinar.